Enchanted Rock rises from the Llano Uplift in the Texas Hill Country. 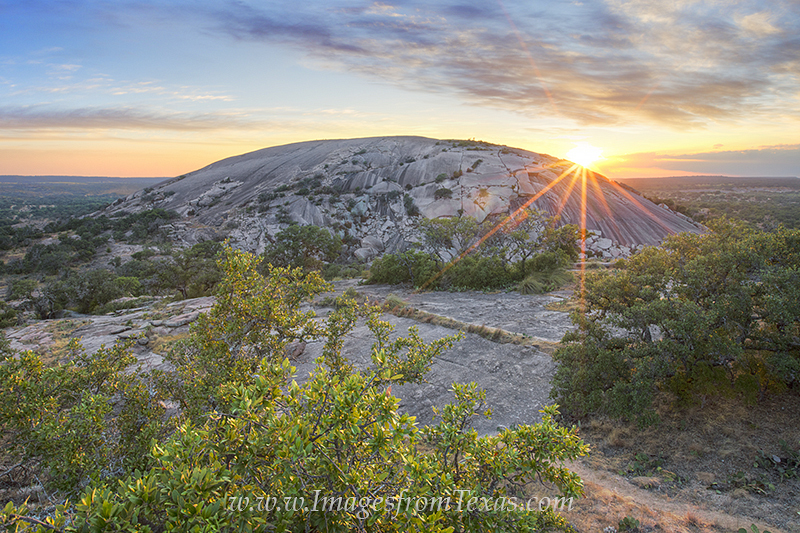 This Texas sunset landscape image looks southwest and captures the rugged beauty of this pristine area. Photo © copyright by Rob Greebon.